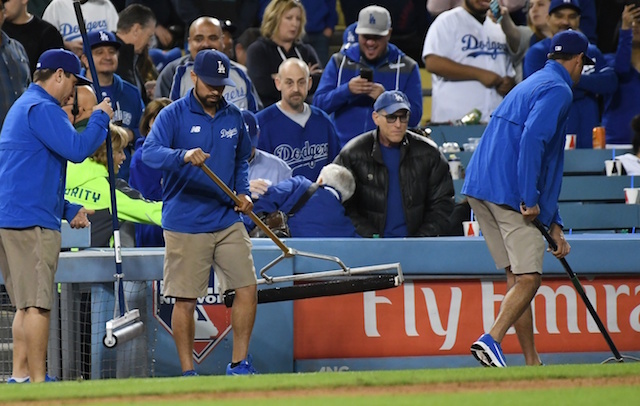 The Los Angeles Dodgers wrapped up their 2018 Spring Training schedule with a 4-3 victory over the Los Angeles Angels of Anaheim in a game that was called in the bottom of the fifth inning due to a water main break in foul territory off third base. 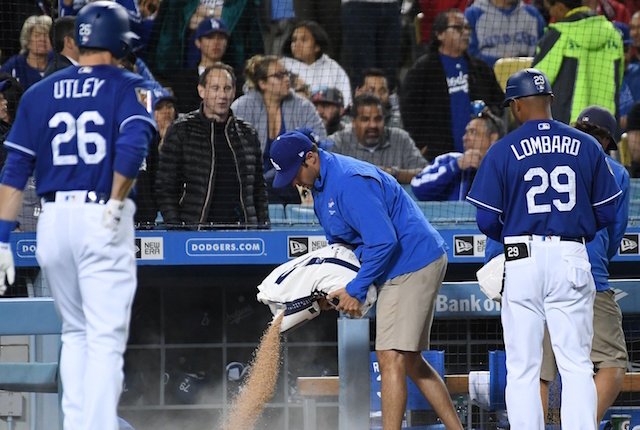 A puddle quickly formed in the warning track area and it began to spill into the Dodgers’ dugout and the first couple rows of the stands. The game was suspended for 32 minutes before officially being called. As for matters on the field that players contributed to, the Dodgers did their damage on extra-base hits, with Yasiel Puig and Matt Kemp each hitting a home run. The homer was Puig’s fourth in the past five games, while it was Kemp’s fifth of the preseason, tying him with Yasmani Grandal for the team lead. Kemp’s blast gave the Dodgers a decided lead but more importantly, however, it was proof of life for the 33-year-old outfielder who entered 3-for-29 in his last 10 games. 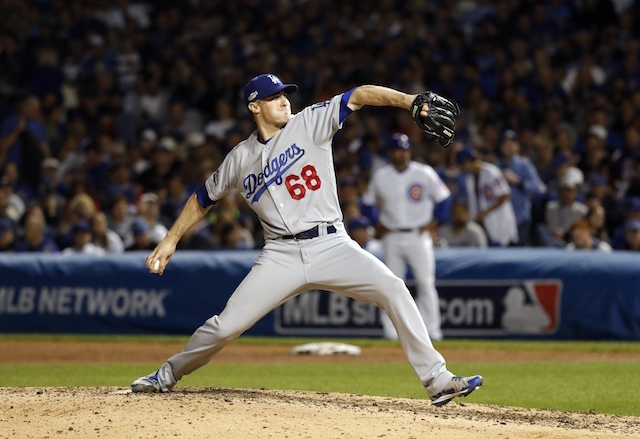 Hyun-Jin Ryu only went 4.2 innings as he allowed three runs (two earned) on nine hits, while striking out three without issuing a walk. 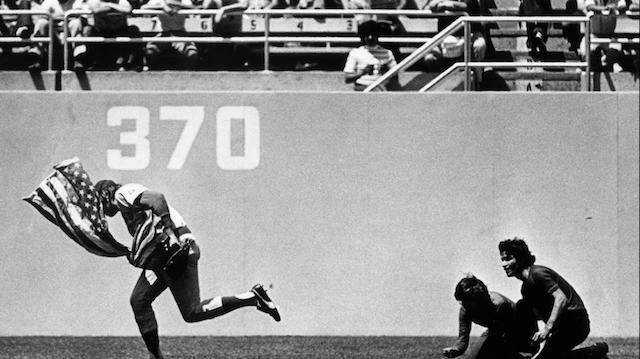 Ryu was the victim of some bad luck in the second inning, as three soft-hit singles led to the Angels tying the game. The Angels’ third run came across in the third on an Albert Pujols’ sacrifice fly. The Dodgers took two of three games from the Angels in the annual exhibition Freeway Series, and overall, Los Angeles won four of the five head-to-head meetings this spring.